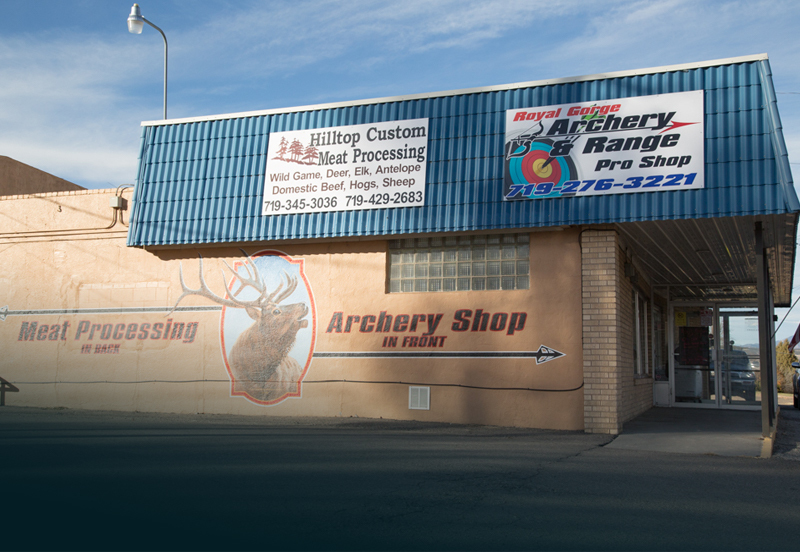 Royal Gorge Archery and Range based in Canon City, CO is your premiere archery pro shop and target range. We carry all the latest archery equipment including brand names like Mathews, Hoyt, Bowtech, Easton, Gold Tip and more. Stop by our shop to pick up a new bow or to shoot some arrows in our 20-yard indoor range. We offer archery lessons for all ages, and a repair shop to help maintain your favorite bows. Owners John & Misty Vernetti are passionate about archery. John has been involved since 1994. Misty got involved about 7 years ago when her son entered into 4H archery. Misty and John are right on target for commingling their new business venture with community involvement. The couple, both Canon City natives, purchased Royal Gorge Archery & range at 309 Main St in October 2015, and they’ve already found ways to give back to the community by offering discounts to 4-H members and first responders and hosting fun shoots as a way of collecting food and toys for local organizations. Whether you are a beginning, intermediate, or even advanced archer, Archery will give you something that’s almost impossible to find elsewhere.